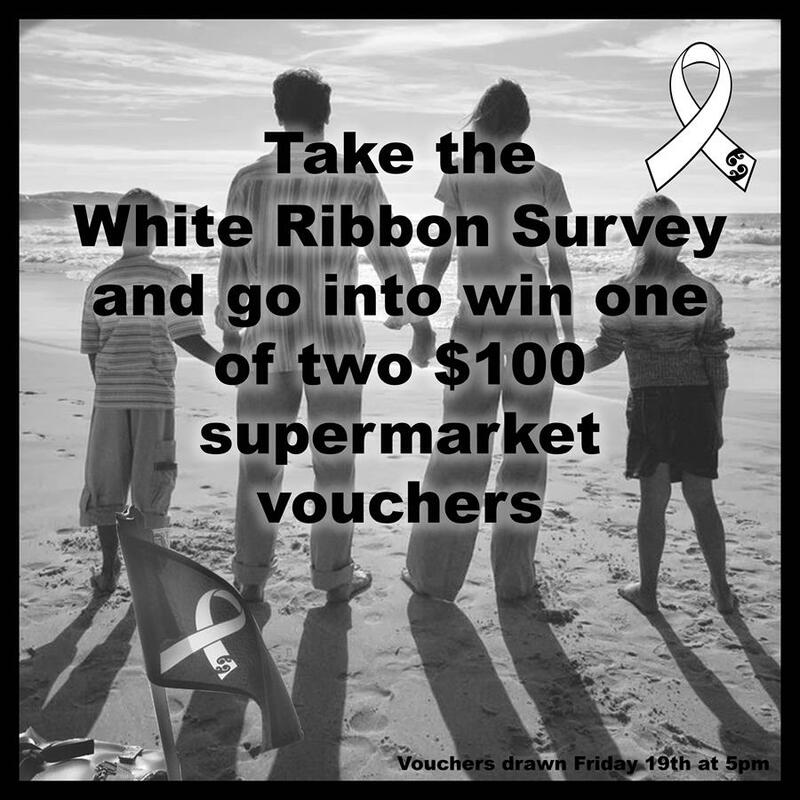 This is the link to a White Ribbon Survey. Your answers, should you chose to take the survey, will help us shape and enhance the 2017 campaign. Your answers could also win you one of two $100 supermarket vouchers. Just enter the survey before Friday 19th 5pm to go into win.